Can I remove or delete a single application from a batch? Yes, you can remove a single Special Water Meter Read from a batch application by hovering your mouse over the right-hand side of the property in question (refer screenshot below). After clicking on the 'x', you will be prompted to confirm prior to that particular entry being deleted. Please note: By deleting an individual Special Water Meter Read application using the above-mentioned process, you are not deleting the entire batch. How are trade waste charges calculated? If you are a trade waste approval holder, you will be assigned and charged against the appropriate trade waste category. These categories link similar business types to equitable charges and relevant methods for measuring or estimating volume and strength of discharges. Learn more about trade waste charges. How can I apply for a Special Water Meter Reading Application? You can apply online for a Special Water Meter Reading or print and complete a paper application form and send this to us. How can I pay for a Special Water Meter Reading application? * If you choose to pay by credit card, a credit card surcharge fee of 0.39% is applicable. Important to note when paying by cash or cheque, we will only process application(s) once payment has been received. Please ensure that you quote the Batch Reference Number or Transaction Reference number with your payment. How do I cancel a Special Meter Reading application? If you wish to cancel an application, you must notify us by telephone before 2pm, no less than three working days prior to the due date. A Special Meter Reading was requested, due on Friday. The cancellation request needs to be received no later than 2pm on Tuesday. It’s important to note that cancellation requests received after this time-frame are non-refundable as the application would have already progressed. How do I delay a Special Meter Reading application? If you wish to delay an application, you must notify us by telephone before 2pm, no less than four working days prior to the due date. A Special Meter Reading was requested, due on Friday. The request to delay the application needs to be received no later than 2pm on Monday. It’s important to note that requests received after this time-frame cannot be actioned as the application would have already progressed. 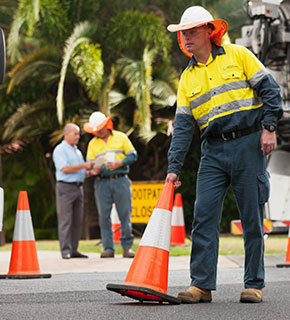 How long does it take Queensland Urban Utilities to process a Special Water Meter Reading Application? For applications submitted online prior to 2pm, we require four working days, excluding public holidays, to process your request. Applications that are submitted online after 2pm, will require an additional business day to process. prior to 2pm on Monday. The earliest the statement can be provided is Thursday. after 2pm on Monday. The earliest the statement can be provided is Friday. prior to 2pm on Monday however, Wednesday is a public holiday. The earliest the statement can be provided is Friday. after to 2pm on Monday however, Wednesday is a public holiday. The earliest the statement can be provided is the following Monday. If you are paying for your application by cash or cheque, please consider this time frame when submitting your payment. How many applications can I submit at one time? Home owners can submit one application at a time. Solicitors and conveyancers can submit up to ten applications at one time. a variation there of (for example: five applications for one solicitor and five applications for another solicitor in the same batch). *Only one payment is required per batch of applications. If I have an enquiry about a Special Water Meter Reading Application, what information do I need to provide? *Note: All the above application information is provided in the confirmation Queensland Urban Utilities provides when application are submitted online. If there are no connected services on the property, should I order a Special Meter Reading? Yes. If water and sewerage services can be reasonably made available to a property (i.e. the infrastructure is running past the property boundary), the property owner is obliged to contribute towards the upkeep of these assets in the form of access charges. We currently provide Special Meter Reading statements for any accounts that have the ability to connect to our infrastructure, even if they may not be connected at the time. Is there an amount owing on the Queensland Urban Utilities account? The Account Balance at the bottom of the Special Meter Reading statement will show what is owing on the account. If there are no charges owing, the amount will be $0.00. What date are the water and sewerage access charges billed up to? This will vary depending on when the Special Meter Reading was completed. At the beginning of billing cycle when the account has been issued but not yet paid. Access charges and applicable dates will be shown in the Prior Billed Charges section. In the middle of the billing cycle when the account has been issued and paid. Access charges and applicable dates will be shown in the Prior Billed Charges section. At the end of the billing cycle when the account has not yet been issued. Access charges and applicable dates will be shown in the Special Water Meter Reading section. What happens after I submit my Special Water Meter Reading Application? Upon submission, a summary of the application(s) details, including the Batch Reference and Transaction References Numbers, will be appear on screen for you to print. If an email address has been provided, confirmation of your submission will be emailed to you. If you have paid by credit card, this email will also include confirmation of your payment. If you have paid by cash or cheque, you will receive a separate payment confirmation once your payment has been processed. What happens if I start loading a batch of applications but forget to submit them for processing? Once a Batch Reference Number has been created, it will only be valid for 30 days. If a Batch has not been submitted, or a cash or cheque payment for a submitted Batch has not been received, we will email you a reminder seven days before the Batch is due to expire. If a Batch reaches the 30 day limit and expires, you will need to create a new submission and re-load your Special Water Meter Reading Applications. What is a Batch Reference Number? A Batch Reference Number is a unique identifier, starting with “58”, which automatically generates when an Agent, Solicitor or Conveyancer starts a new batch of Special Water Meter Reading Applications online. When an Agent, Solicitor or Conveyancer details are entered and saved, an automated email containing the Batch Reference Number and a link to the Batch, is sent to the nominated email address. It is important you retain this email. If you leave the Batch at any time prior to submission, you will need the link provided in the email to return to the batch and continue loading your applications. What is a Transaction Reference Number? A Transaction Reference Number is a unique identifier, starting with “55”, which automatically generates and is assigned to each application. Even if the application was submitted as part of a Batch, it will still have its own unique Transaction Reference Number. What should I do if I haven't received my Special Water Meter Reading statement by the due date? Which option should I use when lodging a Special Water Meter Reading Application on-line? This option should be used if you require a Special Meter Reading on a property that you own. This option should be used if you are a third party lodging an application on behalf of a customer, purchasing or selling a property. This option should be used if you are lodging applications on behalf of a solicitor or conveyancer. *Please note: If applications are submitted using the ‘I am an Agent’ option, submission and payment confirmations will be sent to the Agent’s email address. The Special Water Meter Reading Statement will be provided directly to the nominated recipient. Why are there different periods shown for water and sewerage access charges for commercial accounts? For commercial properties, sewerage pedestals and access charges are billed in advance, whereas water access charges are billed in arrears. Why has my account received deemed consumption charges? If an accurate water meter reading cannot be obtained, water consumption will be charged using the deeming rate. I recently purchased a property. Why have I been charged for water and sewerage prior to the date I moved in? Any outstanding balance after a change of ownership has been completed will become the responsibility of the new property owner, as the debt remains with the property, not with the customer. Prior to the settlement of a property, your solicitor or conveyancer will typically arrange a Special Meter Reading (SMR). The SMR service allows the solicitor or conveyancer to identify the pro-rata balance owing (or any credit) on the account at the time of settlement. Any balance owing for the water and sewerage account is typically paid by the seller to the buyer in the settlement. This is in accordance with the REIQ Contract of Sale. The new owner of the property is then responsible for paying all future water and sewerage accounts. If you or your solicitor did not arrange for a SMR prior to settlement of the property sale, and the balance owing at the time of the settlement was not paid to you as part of the property settlement, you are still responsible for all charges on the account. If you have any concerns, you can refer to your property settlement statement provided by your solicitor or conveyancer or contact them directly to clarify the terms of your property settlement.